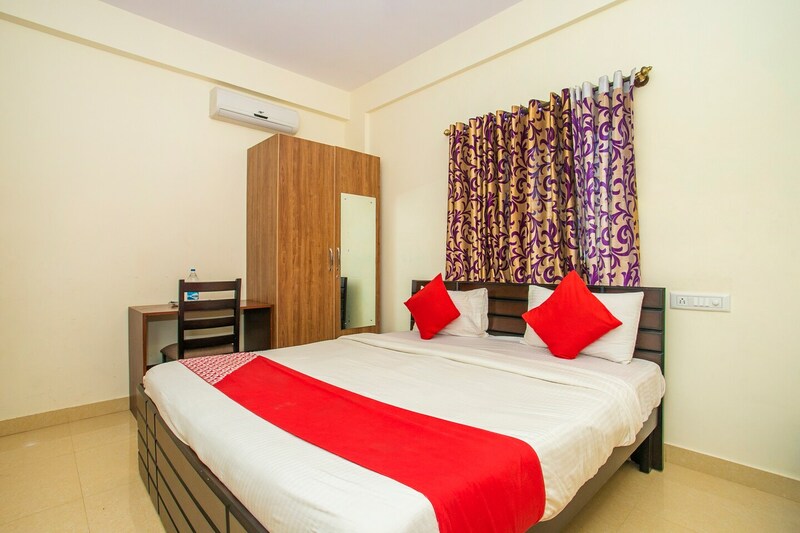 Located in the Sinthan Nagar area, this hotel offers a cosy and comfortable stay for the guests. The rooms have a peaceful aura, allowing the guests to relax and unwind. The rooms features a seating arrangement along with wardrobes. Bathrooms are well-maintained with essential amenities in place. The hotel is equipped with power backup and CCTV cameras for security purposes. A guest seating area is also available and there is an option to make payments by cards. There are a few restaurants close to this hotel which can cater to the hunger pangs.